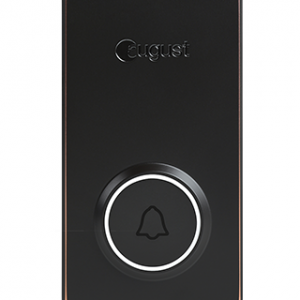 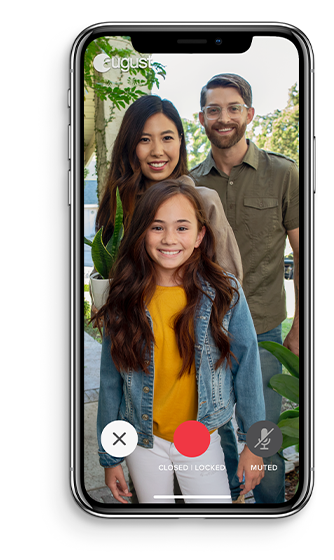 Answer your door from anywhere with August View, the advanced wire-free doorbell camera that streams crisp, realistic video of your doorstep from your phone. 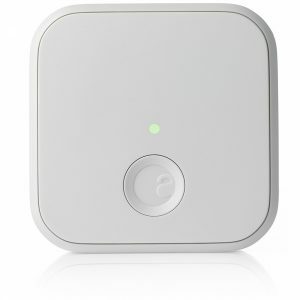 View’s best-in-class image sensor and 2-way audio let you engage with visitors as if you were home. 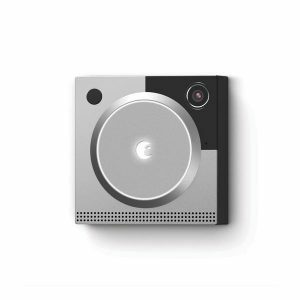 All-in-one solution includes chime, swappable battery and app. 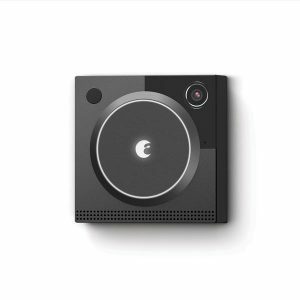 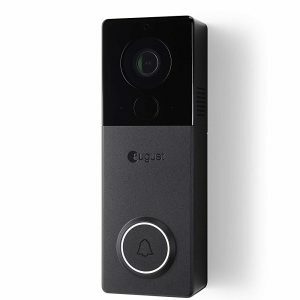 Best-in-class sensor provides the highest resolution of any battery-powered doorbell camera at 1440p – 33% more pixels than full 1080p HD. 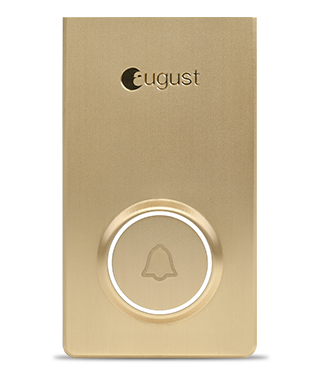 With minimal fisheye distortion, August View provides the most realistic view of your doorstep of any battery-powered doorbell. 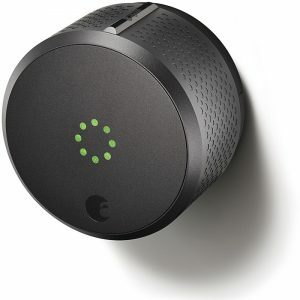 DIY installation without worrying about doorbell wires or calling an electrician. 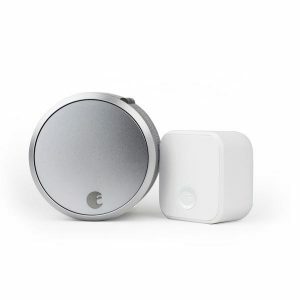 With a sleek design, it’s at home, anywhere. 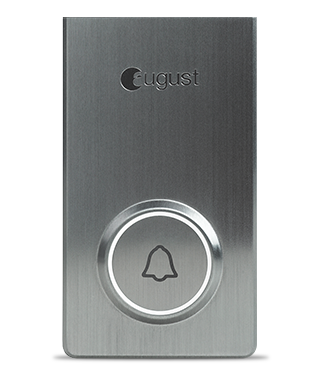 August View will provide free previews of all the activity at your door. Review any missed moment for 15 or 30 days with an August Video Recording subscription. 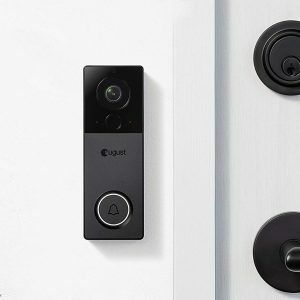 Plan information coming soon. 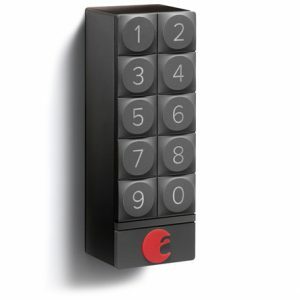 Add custom faceplates to match your home’s decor. 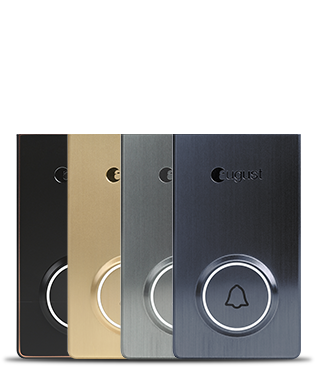 Metal and colored plastic faceplates available. 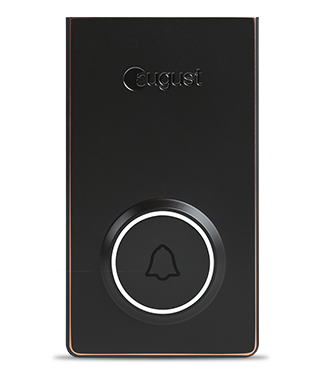 With minimal fisheye distortion, August View provides the most realistic view of your doorstep of any battery-powered doorbell. 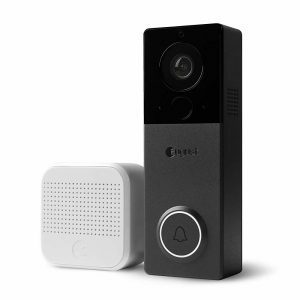 Video resolution up to 1920×1440, digital zoom, and night vision. 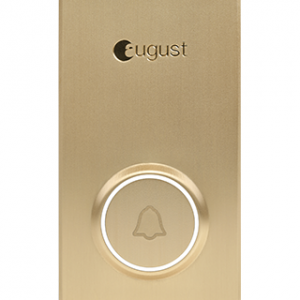 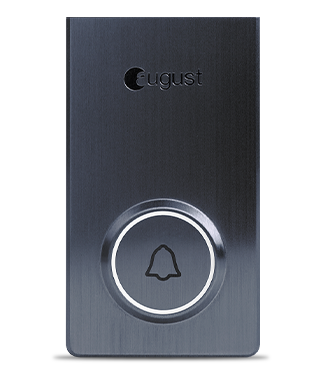 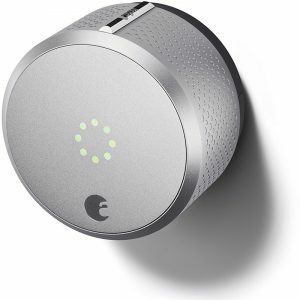 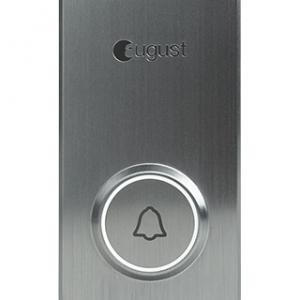 August View can be connected to an August Smart Lock via August Connect Wi-Fi Bridge so you can let in guests from anywhere. 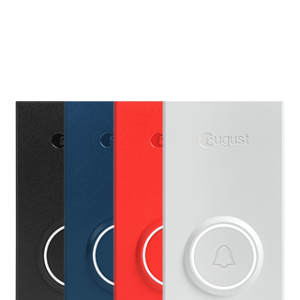 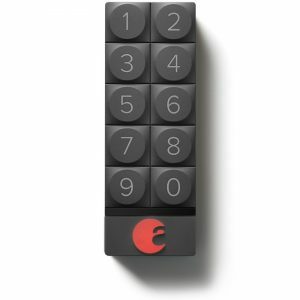 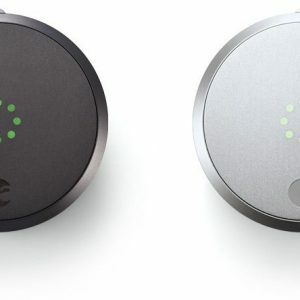 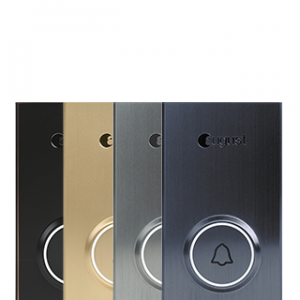 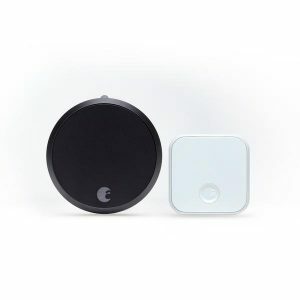 Interchangeable faceplates let you match your doorbell to your home.